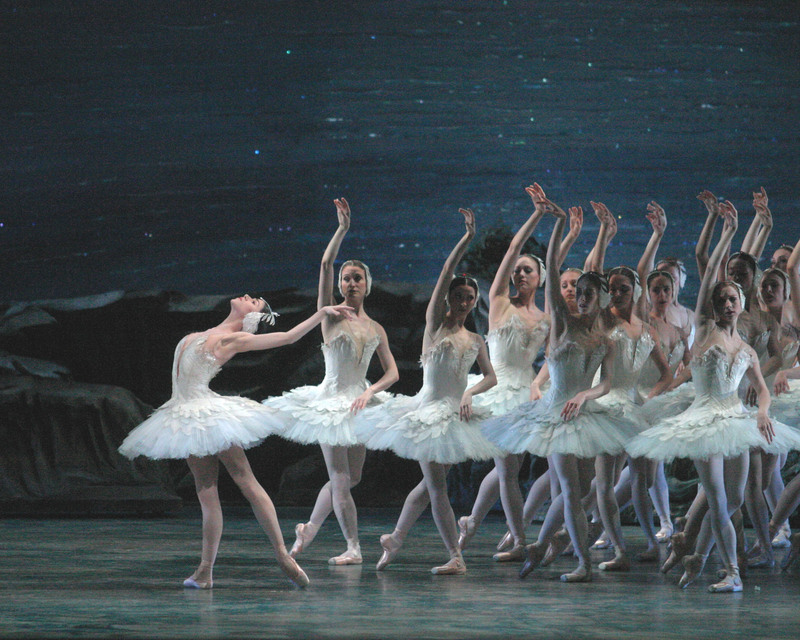 ONE way of looking at the repertoire for American Ballet Theatre’s Brisbane visit in August and September – its first to Australia – is with absolute pragmatism: there’s Swan Lake, of course, which is for many audience members the ballet gold standard, and there’s a triple bill made up of pieces the company is currently performing. But the pieces very much describe ABT too – its nature as a company of stars and its history as an organisation that has had extremely close relationships with some of the most admired choreographers in the field. In 2006 Congress recognised ABT as the national ballet company of the United States and it is about to celebrate its 75th anniversary. Stella Abrera and Calvin Royal III in Twyla Tharp’s Bach Partita. On a visit to Sydney last week to promote the tour (Brisbane, Melbourne and Auckland were also on the whirlwind agenda), ABT’s artistic director Kevin McKenzie described a company on a firm footing. ABT recently added more New York performances to its annual schedule, although there will be a loss next year when Nutcracker moves from the Brooklyn Academy of Music (one of three venues for ABT in New York) to Costa Mesa’s Segerstrom Center in California’s Orange County. Sitting at the apex of the company is a roster of 16 principal artists, some with dual associations that must make scheduling a nightmare for McKenzie. David Hallberg is also a principal at the Bolshoi Ballet, Roberto Bolle is resident guest artist at La Scala and Polina Semionova is a guest artist at St Petersburg’s Mikhailovsky Ballet, where Ivan Vasiliev is a principal dancer. Diana Vishneva regularly appears in her Russian homeland, and Gillian Murphy has been principal guest artist with Royal New Zealand Ballet for the past three years, although that position is unlikely to continue when Ethan Stiefel, her fiancé, relinquishes his post as RNZB artistic director on September 1. Vasiliev will not be coming to Brisbane, says McKenzie, but he hopes Bolle’s schedule will permit his presence. “He’s got a tight schedule, but it could work. The objective is to get him here.” Hallberg is on board for the tour, as is Murphy and, it is anticipated, most or all of the other ABT principals. Robbins’s Fancy Free (1944) follows the fortunes of three high-spirited sailors on leave and is a happy showcase for exuberant male dancing. Tharp’s Bach Partita (1983) is fascinating because 28 years passed between its premiere and its revival last year, and Ratmansky’s Seven Sonatas (2009) is the work of the busiest and most feted exponent of classical ballet working today. I spoke to McKenzie about the two newer works. Kevin McKenzie: A 28-year gap [he laughs]. I think it was largely because of the violinist issue [the work was made to Bach’s Partita in D minor]. For a period of time it had to do with our venue issues, but I think it was really more about the violinist. Twyla created this work to a recording of Jascha Heifetz and he had a particular rendition of particular parts of it that were really fast, and it was a choice. It was an interpretation of it that is incredibly difficult to replicate. When we first did it we didn’t really have the proper sort of representation, that kind of speed. Twyla wanted us to do it to tape. We can’t do that. By mandate, by union rules, if it can be played it must be played. And I agree with it. That’s part of the magic of live theatre. Then it became apparent that it was hard to find a violinist worth their salt who was going to deliver Heifetz’s performance. They wanted to deliver their own performance. It was either put on the back shelf or it was a stand-off: ‘do it to tape or don’t do it at all’. Suddenly a fair amount of time went by. When I became director I asked about it, doing it at City Center, and Twyla said, ‘It’s not big enough [the theatre]; you just can’t do it. The stage won’t support the patterns.’ I commissioned from her Brahms-Haydn [The Brahms-Haydn Variations, 2000] and it just brought [Bach Partita] to mind. I thought it’s getting to be 20 years, it’s time we did it. In the end, that’s it. One can always look for a juicy story but sometimes it really is a matter of waiting for all the stars to align. It was astounding to see it come to life, a 28-year memory. And what is memory, how accurate is it? It’s really made up of impressions. When I saw it come to life whole swaths of it that looked familiar and I could see the dancers that it was created on behind the choreography. Other parts I had no memory of. Ultimately what was really astounding to me, and riveting, was how exactly like the music the structure of the ballet is – intensely intricate and fierce. The music is layered with information, and the structure of it, the designs, the floor plans, if you will, the patterns, are just ingenious and they have the intensity of the music and it takes 36 dancers to execute. The one thing I had never considered was that – I walked away and thought I’d seen a visual version of the music. McK: Seven Sonatas is like putting your head into a very private dinner party. 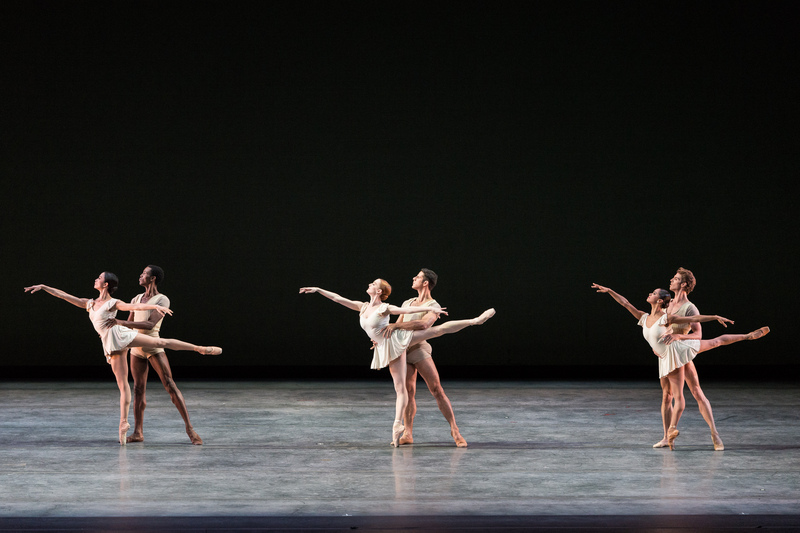 I wanted [Ratmansky] represented, and this was the work that was going to be in repertory this year. He’s doing a new Sleeping Beauty for us in our 75th anniversary so there’s no time for him to create a new smaller work, so we’re beginning to curate the smaller works that we have already. 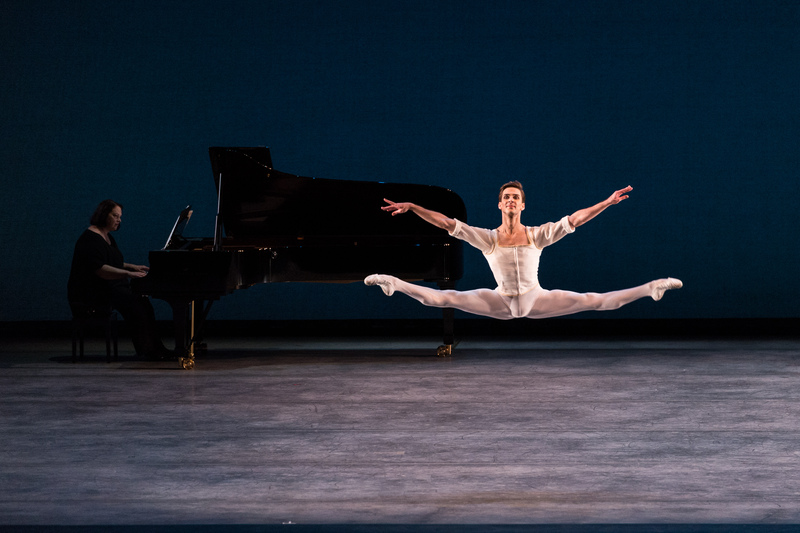 The thing that is representative of Ratmansky in Seven Sonatas is it is incredibly personable. One feels as if they are making it up as they go along. It seems to be a signature of his – it’s like you’re listening in on a conversation between the artists. It’s a very intimate piece. That notion of a conversation between artists was something that the music really drove. [DJ: Is there a link with Robbins’s Dances at a Gathering?] To some degree. Yes, if you were to say that Dances at a Gathering is a genre, yes, to that degree. That’s where the likeness begins and ends. It’s so definitely Ratmansky in the way that Robbins is so definitely Robbins. Tudor’s Leaves are Fading – that is very Dances at a Gathering genre too, but they have no resemblance to one another. One is absolutely Tudor, the other absolutely Robbins. Visiting Australia with McKenzie were principals Gillian Murphy and James Whiteside, who described their experience of dancing Swan Lake together. James Whiteside: When I joined ABT that was my first Swan Lake. First of all I needed to learn the steps. That’s where we started. Obviously we had met before. Kevin [McKenzie] would get us into the studio and say, okay, you start over there, and go step, step, kick, step. Not really. Gillian Murphy: No, that’s not the choreography! JW: We took it from there, one step at the time. When we had our first rehearsal I wasn’t worried at all but didn’t know what to expect exactly, and from the first moment James partnered me I was like, oh, ok. I’m in really good hands here, so this is going to be really fun. And from the first rehearsal we were getting really excited about it. For me, just to dance it with James in his first performance is a special thing because I wanted to be there for him and to make it a special debut. In terms of talking about the characters and whatnot, once James had learned the choreography it was a matter of we would do parts of the pas de deux and Kevin would say, this is looking good, but what are you saying there? This is where the conversation starts. JW: If there’s a moment where I am unsure of what something means, I’ll speak up and say, I don’t understand why I’m doing this. Please enlighten me. I think it’s important to infuse your dancing with meaning instead of mindless steps. That’s why I felt so confident dancing with Gillian because I could read her movements so easily and see it in her eyes exactly what she was thinking and it made the conversation very simple in a way, and I think that’s the best policy when it comes to acting. GM: James and I respond to each other’s body language very innately which is good. This is not a verbal art form. So we could talk about it ad nauseum and we could both talk about our characters and what we’re feeling here and what we’re feeling there, and sometimes we would do that, but for the most part there are a lot of things that are best said through your body, and that’s what we’re responding to. So that conversation happens in the moment, and it’s different every moment. The premiere that we did together was a very special performance I thought. I thoroughly enjoyed it. JW: When you’re premiering a role and especially a ballet as iconic as Swan Lake, there’s a certain expectation and pressure. I have to say I was incredibly surprised that I enjoyed every moment of it. It was such a comfortable performance. I couldn’t have been happier to dance with Gil and having literally such a great time on stage, feeding off of each other’s energy and the energy of the audience and our peers and making art. 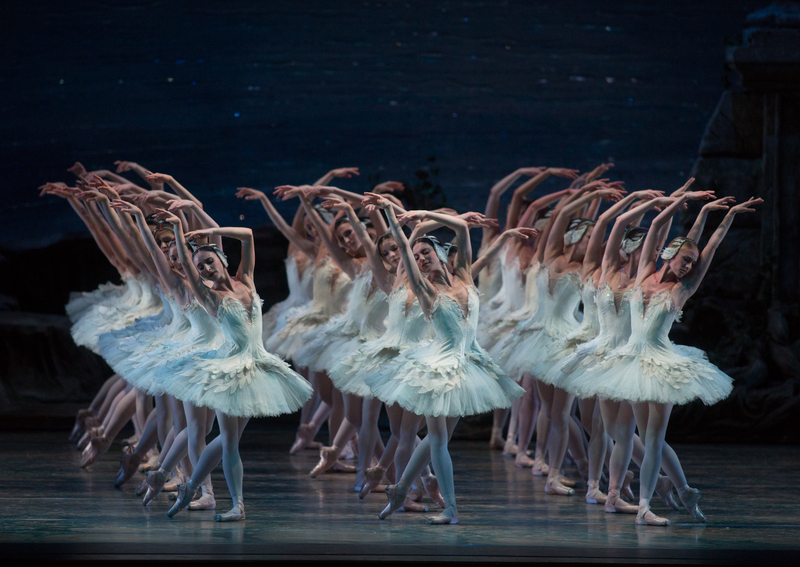 American Ballet Theatre’s Swan Lake (nine performances), August 28-September 4; Three Masterpieces (four performances), September 5-7, Queensland Performing Arts Centre, Brisbane. Footnote: I read that former ABT principal Cynthia Harvey was in the first cast of Bach Partita so, having interviewed her before, I got in touch to ask what she remembered of the piece. Harvey described her thoughts as only “my vague recollection over a great many years”, but despite the passing of so many years her description is useful and interesting. Cynthia Harvey: I was not a principal dancer in the original cast, I was one of the soloists but later I did dance, I believe it was the part originally done on Magali Messac. All I can recall is that the choreography was intricate – Twyla used a lot of phrases that were repeated either in retrograde (like movie film going backwards) or we did phrases that were in canon – perhaps facing another direction. I recall a certain formality but simplicity. I don’t know if it was intentional to NOT “go for Baroque” in terms of gesture, but the intricacy might have been the tribute. I think the formality and sweep of the movement reflected the music. I remember there were issues regarding using our ABT musicians to perform the partita as Twyla had the tempi and especially the emphasis of dynamics based on one recording. That she choreographed those emphases, or at the very least, we couldn’t avoid placing musical emphasis in parts she choreographed, was part and parcel of the recording she had been inspired by. ROBERT Curran gave his last performance with The Australian Ballet on November 26, 2011 – as Danilo in The Merry Widow – and took a year off to prepare for what he hoped would be his second act: running a ballet company. Such a role hasn’t yet come his way so the preparations continue, with Curran determined to prove he has what it takes. To that end, earlier this year he took the position of rehearsal director for Bangarra Dance Theatre, a company with 13 permanent dancers based in Sydney. He still has a mortgage in Melbourne so doesn’t have a permanent base in the harbour city. He couch-hops, he says. Curran has a long-distance relationship, another sacrifice he’s prepared to make to achieve his goal. Curran, now 36, spent his entire 16-year career at the AB, where for a decade he held the top rank. He succeeded Steven Heathcote as the AB’s undisputed leading man, a title that is still up for grabs at the national company. He was much missed during last year’s season of Onegin. The title role in John Cranko’s ballet would have been a perfect fit for someone whose partnering gifts were unequalled in his time with the AB and still remain unequalled. But, as Curran says about the timing of his retirement, there’s never a good time to stop, but there is a right one. He has been setting himself up for the future more than a decade. He has a degree in business studies (including psychology, human resources and marketing) and a certificate of elite dance instruction from the Australian Ballet School. 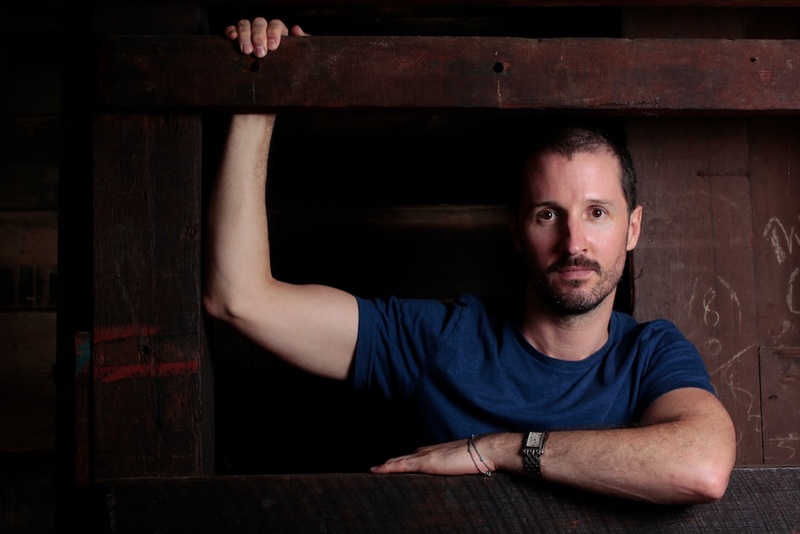 He choreographed four short works for the AB’s experimental Bodytorque program and co-founded a small Melbourne-based, project-based, contemporary ballet company, JACK, which is currently on hiatus. As well as working with indigenous dance company Bangarra, Curran has been asked to choreograph Nixon in China for Victorian Opera. I DEVOUTLY believe the classic ballets are just as important as a Turner or a Manet. Everyone should see the Coppelias and Giselles. That foundation is very important. For a dancer, the kind of training needed is invaluable. Those ballets need to be ongoing. But we need new versions of the classics, and at the same time we need to push into collaboration with actors, onstage musicians, circus artists, to create works that will be tomorrow’s classics. Collaborations that come out of a more multi-disciplinary approach might create something that could be considered worthy of joining the canon of Swan Lake, Sleeping Beauty, Coppelia, Giselle. It might be a version of a story we haven’t heard of yet and [performance artist] Marina Abramovic is involved somehow. It might be that in 100 years dancers are fighting to keep that alive. I love going to the theatre, hearing the rumpty-tumpty music of Don Quixote or La Bayadere, or sitting in the dark hearing the overture to Suite en Blanc. You know you’re in for a pure classical treat. But I also like sitting in a traverse theatre [as he did recently] with 20 other people seeing a show with one actor playing every single role. The weirder, the crazier the better. I have this vision of a classical ballet dancer who has full dramatic skills, who can sing, can speak, can project their voice, can be in film, can be up in the air, multi-disciplinary, rich in their art form. You need to be talking on stage, singing on stage, miming, putting yourself way outside your comfort zone. What you learn about your art from experimentation you can apply to Swanhilda or Odette. There is a maelstrom of activity [elsewhere] that is sometimes lacking in classical ballet. For many dancers there’s no awareness that you need to extend yourself. I was reading Jennifer Homans’s Apollo’s Angels and was incensed at her last chapter [in which she expressed the view that ballet was in its death throes] … We could talk about this for hours. People have this expectation that we’re going to have to grow another limb to make dance new and exciting. The beauty of classical ballet is the rigour that results from that training; it’s the collaboration and trying new combinations rather than trying to come up with new movements. There is no new movement. You go forward and back and sideways and up and down. You have two arms and two legs and one head. That’s kind of it. I ARRIVE at around 8 o’clock and try to get as much administration done before class, which is at 10. So I’m doing schedules, co-ordinating a lot of the Safe Dance program for the dancers. I’m in charge of all their physio with the in-house team, organising teachers and pianists. There’s a lot, a lot of admin. I enjoy doing it; it gives me a good insight into management, dealing with a lot of different people, getting things to work for people as much as possible, and then I either teach class or I try to do class with the dancers. They have class every day for an hour and a half – ballet, contemporary, theatre craft, yoga, Pilates. It depends on what they need at the time. There’s a long-term and a short-term strategic thing in my mind about what’s best [to develop the dancers] technically and what’s appropriate for the time of week and year. Stephen [Page, Bangarra’s artistic director] is very trusting about that – he’s too busy to deal with it. He has his over-arching artistic vision for the company and he would most certainly let me know if that wasn’t being reached or was heading in a different direction. He’s great about giving me the responsibility about doing what’s best for the dancers to facilitate their work. [After the early administration work] either I teach class or do it. I’m trying to keep in shape. Where possible it’s good to set an example and I like the idea of being fit and healthy and being able to demonstrate without risking life and limb. It’s for my own safety but it’s also important for younger dancers to observe someone who knows what they’re doing for themselves. If you see someone working on their own body with a focus that starts before class and finishes after class it’s an important example. Rehearsals start at 12. At the moment Blak is being created – I’m not actively involved in those rehearsals but like to be in the room wherever possible. Daniel [Riley McKinley, 27] is a dancer and choreographer for Blak, so he’ll need another set of eyes to help him. He’s very open to collaborating with the dancers and with me. He’s very open-minded and intelligent about opening up a dialogue. A very smart man. AND what a mind-blowing experience that was! Of course I had my mental model of what it was like and it was a very strange experience to have that mental model blown away. I was really happy to have it blown away. We went to local sacred sites and held a workshop [in Dhalinybuy]. Bangarra dancers were teaching and being taught by the local children. Then we went to Bremer Island where [Bangarra cultural consultant] Kathy Marika is from. And that was amazing too. It was a tropical holiday but with such intense, wonderful cultural saturation.I found it almost intimidating. I felt my perception of my responsibility growing exponentially, which was a little bit disturbing but also inspiring. It reaffirmed this opportunity I’d been given, but it’s impossible not to notice that I’m not one of them. Impossible to not notice that and to be aware that this is not my world. My world is traditional ballet and the future of that. It’s challenging. So how did Curran come to be at Bangarra? I’M not embarassed to say that I got a little disillusioned with my search for artistic directorships. I do think there is a prevailing conservatism; either that or people are lying to me. Because everyone that gave me feedback on all of my applications said that my vision was exciting and inspiring but my lack of experience was the only thing that meant it couldn’t go forward. I began to get very disillusioned about the whole process, thinking, how am I going to get the experience before I get a job that’s going to give me the experience? I wanted to have 12 months off [after leaving the AB] but I don’t think I’m exaggerating when I say that about two months in I began to get itchy and not content to have it last that long. By November I was starting to really get my feet back in the water and I heard on the grapevine that my predecessor at Bangarra was leaving. It’s such a small world. I’ve always had a huge amount of respect for Stephen. I’ve watched all of Bangarra’s shows; I really do respect what this company has done and is doing. So when the job came up I thought, well, I’m back in the studio, out of my comfort zone. I’ve always taken for granted what ballet staff do and artistic administration do, and it’s been great for me to get a deeper understanding of how much is involved. That’s a very valuable lesson for me. [AFTER his last show in Sydney] I had one night in Melbourne then went straight to New York for four or five weeks. I spent almost every day with American Ballet Theatre. They were wonderful. They opened the doors, said go where you want, meet who you want. Do what you want. In reality I didn’t spend that much time hovering behind Kevin McKenzie. It’s a really difficult thing to organise. I spent the time getting to know the company and their operations. Then I went to [UK dance leaders’ forum] DanceEast. That was an interesting exercise because it really was getting at the crux of leadership. Not concentrating on networking or skills development, but very much more exploring what it means to be a leader in the arts. A standout experience was the World Theatre Festival in Brisbane [in February 2012]. The potential for collaboration across artistic genres and artistic technologies was something I spent two weeks revelling in. It was such a wonderful two weeks. I went from London to Russia – I spent a lot of time in Russia, then went to Japan and then straight to Brisbane. There were some pretty exciting people – Belarus Free Theatre, Il Pixel Rosso, the Italian-British multimedia arts company, [Italian theatre company] Motus. It was really thrilling and inspiring. I did a workshop with Il Pixel Rosso and and Motus. Il Pixel Rosso was specifically about multimedia, Motus was about the creative process and their methods of creation. I was really open and ready for it. I wanted to be outside my comfort zone, I wanted to get away from plies and fondus – for a period of time. Not to shun them, but get away from them for a time. I thought it would be a good idea for me to spend some time exposing myself to other forms of theatre. I went to the Metropolitan Opera in New York, I saw the Bolshoi any number of times, I went to Kabuki theatre in Japan, symphonies, Melbourne Theatre Company, Sydney Theatre Company. Any night I had free I was filling up with being in the theatre. Which is something I never got to do as a dancer. That was also contributing to my desire to experience more and see how it can apply to dance. Does he feel he is now on his way? IT depends on the day, to be honest. What I’m desperate for is for some company to take a risk and employ someone who has a really exciting vision, and then trust in the rest of their organisation – that there will be conversation and the existing administration, the existing dancers will safeguard the organisation. It’s a risk; I do get that. I’m busy, I’m working hard, but Stephen knows that I’m looking for bigger things … I want more responsibility. I love the dancers in Bangarra, I love what this company does, and at the moment that’s fuelling me to go in and do the best I can do, but at the end of the day I have got a vision for ballet that I would like to put on a company. We’re talking about a classical ballet company. We’re talking between 30 and however many classically trained dancers and what their potential is and fully exploring that potential. As I have respect for the heritage of Aboriginal dance, I have the same respect for the heritage of classical ballet, but I am really, really excited about throwing a bunch of actors and musicians and designers and classical dancers together in a room and seeing what exciting things they can come up with for whatever medium, be it film, stage, site-specific, flash mob-y, whatever. It sounds trite, and it’s been said before, but they become the classics of tomorrow. That’s in my mind. That’s not being fulfilled at Bangarra. It’s not possible. I should never, ever be artistic director of Bangarra Dance Theatre, ever. I wouldn’t want to be. It’s not the right fit. It’s not the right job for me and I’m not the right person for the job. What is the involvement with Nixon in China? 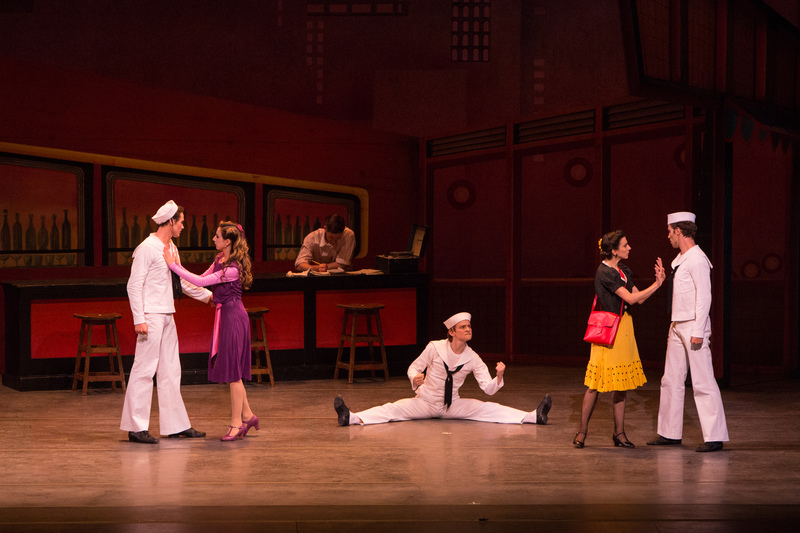 THE second half of the second act is a scene where Pat and Richard Nixon go to the National Ballet of China to see The Red Detachment of Women. I’m not going to try to recreate it – the production is contemporary, a little bit sparse, and Victorian Opera doesn’t have the budget for 50 women in military costume. There are four dancers and there is a lot of interaction with the principals. I’m trying to focus on ideas of liberation and what kind of emotional involvement there is in that, all framed within the American visit. Is America there to liberate China, or is China already liberated and trying to show America that they are? I’m working on it only for three weeks so it’s a very short turnaround, but Bangarra’s tour to Melbourne coincides with the production of Nixon so it’s perfect for me. It will be stressful, but I’m really excited about collaborating and extending myself. WOULD I go anywhere? Yes. Sydney is not my home. I’m couch-hopping. I wouldn’t say I’m hedging my bets, but it’s ridiculous to spend $400 a week on rent … I’m seeing this year as an opportunity to clarify my vision so when the opportunity arrives I can confidently say, “Look, I’d like to do a new version of this; I’d like to put this ballet with this ballet with this ballet.” I’ve done that in however many applications I’ve done. But I am contemplating and consolidating that vision. Last year was a year of flux [vacancies came up at Queensland Ballet and West Australian Ballet]. Whether I’ve missed the boat and it’s another 10 years before there’s this kind of flux I don’t know. But I keep my ear to the ground. It’s a really difficult transition to make. I thought I was doing the right thing with my teacher’s course, bachelor of business, starting JACK Productions – but it’s not enough. I’ve made sure in the [Bangarra] contract that the company won’t have difficulty if I leave [early]. It clashes a bit with my feelings about how things should be done, but the [ballet] year in Europe and America starts in September; here in January. There’s a disconnect. – Robert Curran, The Australian, November 29, 2011. NOT dancing Onegin was a real wrench. It was difficult. I didn’t want to do Onegin and not enjoy it because of all the other things going through my head at that time. There was no other way for me to look at it than I was on the other side of the hill and sliding down. I was never going to be opening night Onegin. That decision had already been made. It wasn’t just that in and of itself [that sparked his retirement]. It was a combination of things – can I constantly prove that I’m worthy of doing the work that these young boys are ready to do? I was being told that these people were ready and I needed to share. I had an awesome year with The Merry Widow, After the Rain, Concerto, then after that was told I needed to step back, to share. I understood that; but that didn’t happen to Steven Heathcote. I was his understudy until he decided to go. But I got to do a traditional Swan Lake in Hong Kong in August 2011 with Jin Yao [previously a guest artist with the AB]; a beautiful production. I really, really loved it. I miss performing, and I really, really miss partnering. It could bring me to tears talking about it. Bangarra Dance Theatre’s Blak opens on May 3 in Melbourne before touring to Wollongong, Sydney and Brisbane. Victorian Opera’s Nixon in China opens in Melbourne on May 16.